Fax-over-email is no longer considered to be “breaking news” anymore. It has become a trusted medium, with many businesses choosing to convert to paperless communication. This has revolutionised the way businesses and individuals communicate, freeing up time for employees to focus on other tasks, saving money that would have been spent on powering a fax machine around the clock not to mention printing supplies. These are just a few of the benefits that individuals and businesses are enjoying. As long as human beings are alive and businesses are running, global warming will always be an issue because of the machines we use. Different businesses have different policies to reduce their carbon footprint, and keeping offices paperless is one such policy that many businesses have adopted. 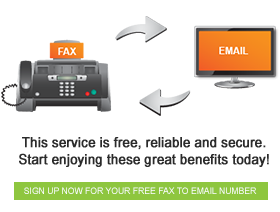 If you consider how many faxes are sent everyday around the world and how each of them has to be printed, you will realise just how much fax over email is actually helping. Research conducted in the United States of America has stated that fax machines use up to 200 billion pages of paper annually. If 5% of faxing was done without having to use paper, this could potentially save a million trees per year! The fact that you can also send faxes to multiple contacts simultaneously so easily, just makes the whole package that much more awesome. The fax number will never be engaged and faxes will never be lost in a sea of other faxes that need to be sorted through, running the risk of being lost in the rubble. Every fax to email service provider has their own unique features to make it easier for you to communicate with your stakeholders. Speak to our consultants and find the FaxFX package that fits your business today!